A recent outbreak of VSV, or Vesicular Stomatitis Virus, a nasty virus that causes awful sores in your horse’s mouth, reminds me that we can never be too careful when it comes to biosecurity measures for our pets. 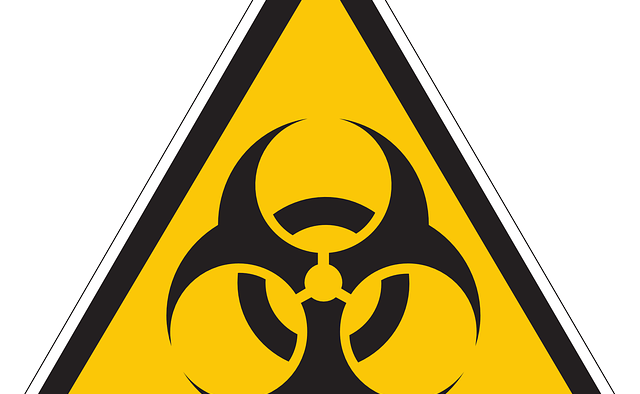 Biosecurity refers to measures taken to protect yourself or your animals from hazardous biological agents, like viruses. Biosecurity measures can include quarantine, changing clothes between groups of animals or places, washing tools and shoes, and so on. Any time you invite someone to your farm or property, they may bring some unwanted visitors. Clothing, shoes, cars, tack, other animals, wildlife, tools – all can carry disease. Anything that was used on the same species (and sometimes others) can harbor something that could make your animal sick. We need to be aware of the potential vectors and learn how to help minimize risk. What Can I Do to Protect My Animals? When you go to horse shows, dog shows, pet expos, or other large gatherings, you can expose your animal to potential hazards. One of the easiest ways to be sure your animal isn’t at as great a risk is not to take them to these types of events. That’s not always practical, nor is it as much fun. But the point must be made that even when riding with friends who show or board their horse, you could put your horse at risk for disease. Boarding barns especially have lots of horses and people coming and going and are much less bio-secure than your own barn. I can’t stress enough how important vaccination is for your pet. While not all illnesses (like VSV) have vaccines (and some are not effective or may have their own risks – such as the FIV vaccine for cats), the vast majority of vaccines are safe and effective. It is important to do your research and speak with your veterinarian about what vaccines your animals should have. This is the easiest and best way to keep away some awful illnesses and keep your pets safe. Cleanliness is Next to Vaccination. Another practical way to help keep your animals safe is CLEANLINESS. Clean your stalls daily. If you’re keeping your manure to season it for use as fertilizer keep it as far away from your horses as you can. Chickens and other barnyard fowl can help keep insects down in your yard. Insects are a vector for illnesses, and they allow the spread from farm to farm, stall to stall and animal to animal. Keep your buildings free of things that will attract insects or rodents. Keep your equipment clean. And just like during flu season, WASH YOUR HANDS. Handwashing between animals and species, as well as just generally is the easiest way to keep illness from spreading! Learn proper handwashing techniques here. You read that right – wash everything! If you go to a friend’s barn, toss your clothes in the washer when you get home. Wash your hands if you pet their animals, especially if you pet the face near nose, mouth or eyes. You should also take a shower before interacting with your own pets. We keep Clorox wipes and hand sanitizer in our truck. If we go somewhere, we’ll wipe our shoes before we get in the truck. Lysol also works well (but be sure to keep it away from your pets) and allows you to spray the bottom of your pants as well as your shoes. If you take your horse out, hose them off before they go back into the yard with the other horses. If it is a multi-day event, or your horse interacted with another, you may consider quarantine (more on that later). Wash your truck and trailer before you back it into your yard for safekeeping. Wash your puppy’s paws when you are leaving the park before they get back in the car. Wash your cat’s carrier before it goes back in your house or truck after leaving the vet’s. As tempting as it is to offer your horse a drink from the communal trough, or your dog a drink from the communal bowl, DON’T! Bring your own buckets or bowls. Just as passing water bottles around can give your human children mono, allowing your animal to swap spit with others is risky (I won’t even use the same hose as others at events). I have water on my trailer, and my own hose. I keep 2 buckets on the trailer that I am willing to give away or sell, rather than loan them to someone else. My horses have their buckets, and that is all they are allowed to use. My dog carries her own water bowl when we’re out hiking, and we keep it filled using our Camel-packs . Keep grooming tools and tack to yourself. Do not borrow from just anyone if you want to try a bit. Wash any used items you buy before exposing them to your pet. Good old-fashioned hot water and bleach can kill a great many things. Lysol spray does well on soft, porous materials. Many diseases can also be killed by UV exposure, so leaving things out in the sun can help. You should periodically wash your grooming tools (once a quarter or so). Our horses each have a designated color – for halter, grooming bucket, tack hangers, bathing buckets, sponges, and the like. It doesn’t just make it easy for pet sitters or other helpers to choose the best equipment, it keeps skin problems from spreading. It also allows us to easily quarantine an animal while still caring for them. We’d just clean their tools at the end, or replace if necessary. Individual hoof picks reduce the risk of passing things like thrush. As you can see below, our horses each have two picks – one for the stable and one to take on the trail. I have a separate color-coded grooming bucket for each horse. It helps keep skin issues or other things from spreading. You should always quarantine a new animal. Always. I have usually used the 30-days / 40-foot rule. A pre-purchase exam is also a good way to help ensure you’re only bringing in a healthy animal. Since your veterinarian will be on the premises of the incoming animal, they will be able to see the health and condition of other animals on the property. If another horse near the one you are looking to purchase is coughing, it’s a clue to you and your veterinarian that there may be a respiratory issue on the horse you’re looking to buy as well. It is important to quarantine your animals when they come home from places that have lots of animals coming and going (such as a show, a boarding barn, or a trainer), as well as when they are ill. Take care of the sickest animal last, and do not share tools (poop scoop, buckets, brushes, tack, etc) with this animal. It is best if you can keep other creatures on your property from this animal as well, not only for reasons of multi-species transmissions, but just so they don’t carry illness from place to place with them. Children, chickens, cats, goats, dogs, or any other creature running freely about your property could be a potential spreader of an illness from an animal in quarantine. A small barn or enclosed stall with screened windows makes an ideal isolation area. You can keep a set of shoes and clothing in this area for just the quarantined animals, and have a handwash sink or bucket just outside or in the changing area. Remember to clean the animal’s tools after the quarantine is over, and before using them on the recovered animal or another animal. You wouldn’t want to reinfect your horse after working so hard to make them well. Visitors are other ways for illness to travel. Ask your friends not to bring their dog to your barn. Ask your farrier to make you the first client of the day. Have a bucket with 1:10 bleach solution for them to dip their tools in (or Lysol but you have to wait 30 minutes for it to kill the worst stuff). Have Clorox wipes or shoe covers for them. Or ask them what their biosecurity measures are, and see if they’re enough for you. I am very lucky that my farrier is just as OCD about cleanliness and biosecurity as I am and she washes her tools at least daily. You can also ask your veterinarian what their measures are. Your veterinarian or farrier may have some tips on other ways to make sure your horses and farm are safe. The biggest take-away here is to not be afraid to ask people to take precautionary measures and do what you feel is necessary to keep your farm and family safe. Clorox or Lysol for the shoes isn’t a lot to ask most people (it’s not like you’re asking for a hazmat suit!) I once had an equine chiropractor try to schedule my farm as the last of the day after going to the racetrack, and he was unwilling to change his clothes, wipe his shoes or anything. Needless to say he did NOT get scheduled and I found someone more understanding that was willing to make some accommodations for my 35 year old horse. That horse is extremely healthy at this time and I don’t believe it’s merely genetics that keeps him that way. Some diseases or parasites are zoonotic. This means they can pass from an animal to humans. Some things can pass from species to species that you have on the property (VSV being one of the zoonotic and cross species viruses). You should be aware of what can pass from your pet to you. These can include things like Ringworm, Vesicular Stomatitis, parasites and more. Remember, these are just a few tips and precautions to help you make your own Biosecure Barn. Take the time to talk with your veterinarian, research products and cleaning techniques, and just use good old common sense. In the end, that’s what will keep your barn, and animals, the safest. I tend to go further than others as I have a cat on immune suppression therapy and an elderly horse. If you have a herd of young, healthy horses that are fully vaccinated you can likely get away with less. Your choices have to be based on your family and your experiences, and your mileage may vary. VSV is a quarantine virus. If you suspect your horse has it, call your vet immediately! It luckily has a low death rate but your horse will be very uncomfortable and probably need palliative care.